My short play Love. Bite. 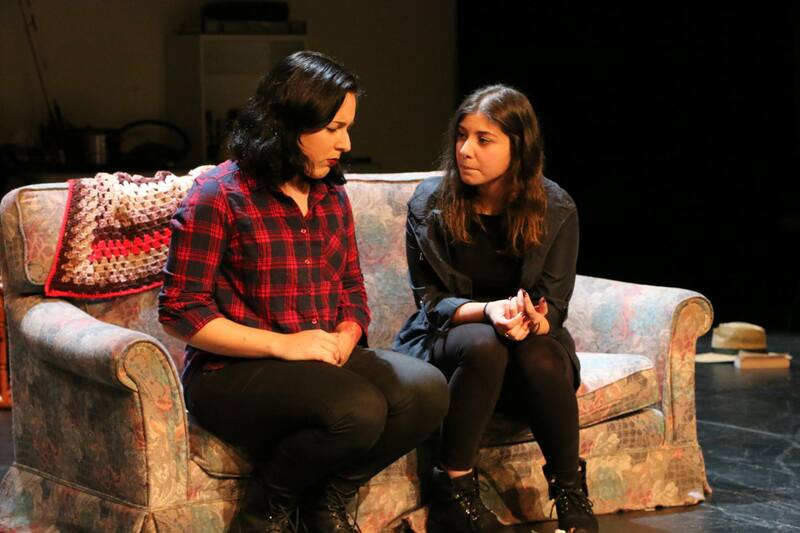 was produced as part of the recent Short Works season at La Trobe university and my director, Amelia Latham, and actors, Susu Najjarin & Erin Miller did a great job with the piece. Melissa Viola took some great photographs of the play and was kind enough to let me post one here.